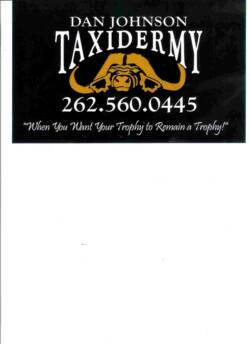 Since 1986 Dan Johnson Taxidermy has been serving Southeastern Wisconsin fisherman with quality fish mounts. I have worked with numerous Guides, Bait and Tackle stores and Boat dealerships. All skin mount fish are inserted with hand carved foam fish blanks. Fins are repaired and strengthened with fiberglass cloth and resin. Multiple hours are spent prepping fish for paint and setting custom made fish eyes.Laquer paints are applied with an airbrush and some fish are painted ONE SCALE AT A TIME for added detail.Once painted a high gloss automotive urethane clear coat is applied to give a wet look finish and shine that makes all the colors POP out. NO two fish are the same. Please visit Fish Skin Mount Photos to see numerous pictures of fish I have done over the years for my customers. With the ever increasing promotion of "Catch & Release" I understand the need for quality fish replicas. I only use molds cast from fresh fish not mounted fish.Some of these molds I produce myself and some are purchased commercially. 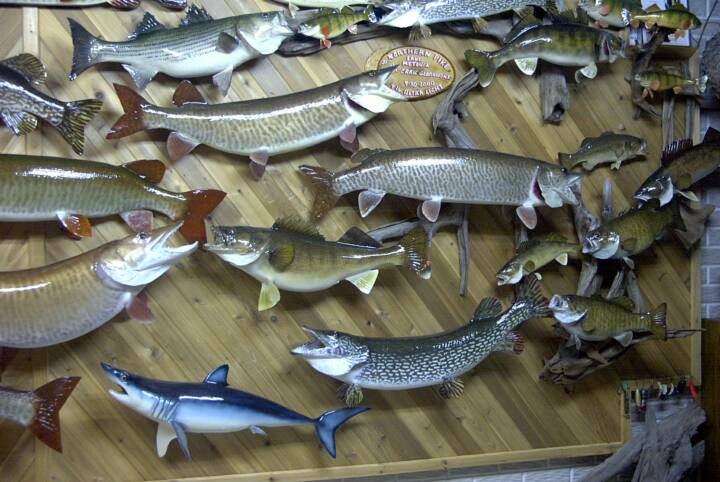 Quality molds have excellent mouth and scale detail.Most ANY fish that swims is available in a mold.Please visit Fish Replica Photos and see numerous pictures of fish replicas I have done over the years for my customers.